This crazy contraption allows you to add hops, spices, fruit or whatever to a beer. 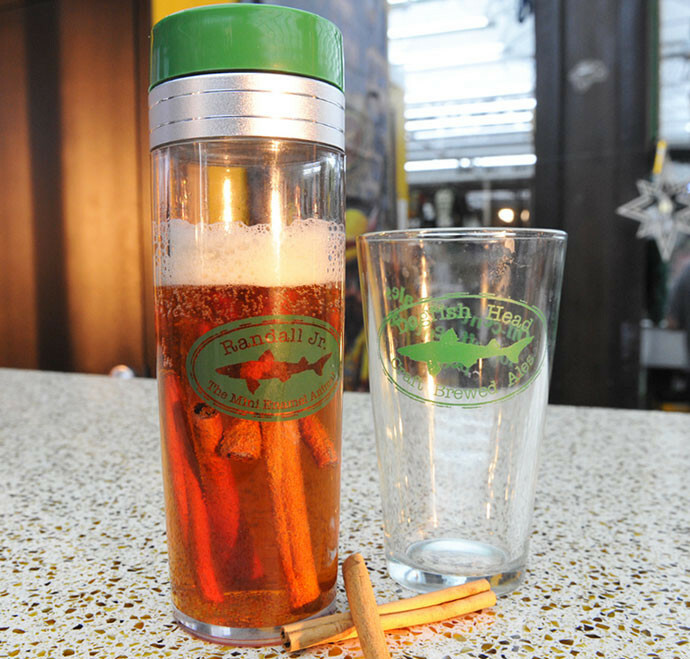 Made of double-walled, BPA-free plastic, the Randal infused a 16-oz beer with a twist off cap. The Randal is also sensitive so wash with a mild, unscented soap and keep out of the microwave or dishwasher. Available from Dogfish Head Brewery.